Unique 5-day advanced mentorship programs focusing on hands-on experience to assist development of clinical reasoning skills and better implementation of assessments and interventions. Full courses, live and on-line, on a variety of introductory to advanced topics. Presentations on a variety of intermediate topics for parents and professionals. Audio only podcasts on a variety of introductory topics for professionals. Free resources for adults and caregivers of children with SPD. Resources and research studies on topics informing knowledge of SPD. 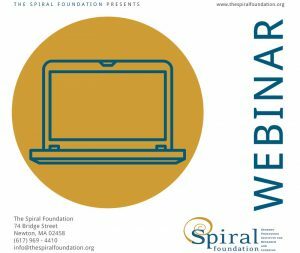 The Spiral Foundation serves national and international audiences by providing resources for therapists and other professionals who work with individuals with sensory processing difficulties, as well as adults and children living with sensory dysfunction and their families. By conducting and disseminating current research and providing educational programs in a variety of on and offline formats we strive to improve the lives and well-being of individuals with difficulties processing and integrating sensory information across the globe. A new article, A Systematic Review of Ayres Sensory Integration Intervention for Children with Autism, published in Autism Research identifies Ayres Sensory Integration Intervention as an evidenced-based practice according to the criteria set forth by the Council for Exceptional Children. This ground-breaking article will provide significant support for the use of ASI intervention with children with ASD. Get your open-access copy by clicking HERE. This lecture will present evidence examining praxis as a sensory integration construct, praxis dysfunction in children with autism spectrum disorder View product. 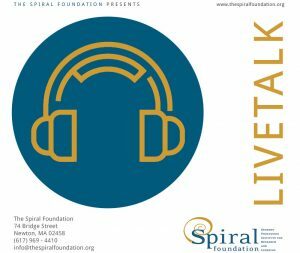 This LiveTalk will provide practical strategies and activities for facilitating the development of praxis in children with sensory problems. This webinar is designed to serve as a brief introduction to the concept of ideational praxis. This webinar will examine the relationships between sensory processing, complex trauma and attachment problems, highlight signs of praxis problems and View product. This webinar will discuss how to assess praxis difficulties in early intervention age children and will present specific observations and View product. Check out the “Sneaky Fine Motor” activity of the month. Dr. Teresa May-Benson is an excellent teacher, she is brilliant, well organized and is passionate about the topics she presents. Loved Sue! She did a great job explaining a difficult and detailed topic in a short period of time! Would go to any future courses taught by her. I am certified in SI and have also taken refresher theory and treatment courses, but this course was exceptional. The material was easy to follow and presented in a clear manner, making it memorable and immediately clinically applicable. This class was phenomenal. I had no idea it would present such in-depth information that directly pertains to my practice and covers more explicit in-depth neuro, functional information and sensory pragmatics than my courses in my OT training. Thank you! The ability to participate in this intervention program was a blessing! I am so thankful for the opportunity.